Each week, Modern Restaurant Management magazine compiles restaurant industry headlines in MRM News Bites. This week, we feature end-of-the-year openings, an inventory management tool and an essay contest to win a restaurant. Send items of interest to Executive Editor Barbara Castiglia at bcastiglia@modernrestaurantmanagement.com. Want to Win a Restaurant? Arizona restaurant owners David and Dawn Bain are ready to retire after 23 years in the industry. But, instead of putting a “For Sale” sign in front of The Outside Inn, they decided to give it away. The Bains are holding an essay contest and the winner will be the new owner of the 2,000 square-foot restaurant, the land it sits on, all equipment, furnishings, and the inventory on hand at the close of the contest. The essay entrance fee is $125 and they will accept 7,500 applicants. In the event of essay contest cancellation, the entry fee ($125.00 US Funds) will be refunded to each entrant. Bain told Modern Restaurant Management magazine that interest in the contest has been attracting a lot of interest. not identify themselves anywhere in the essay. have their submissions post-marked no later than April 30. The Outside Inn has been a staple in Sierra Vista, a city of 50,000, anchored by Fort Huachuca. To view a complete set of contest rules and to download an entry form, visit: https://theoutsideinnblog.wordpress.com. Nobu Honolulu, the latest addition to Japanese restaurant empire founded by Nobu Matsuhisa and Robert De Niro, opened December 23 at Ward Village®, a 60-acre master planned community by The Howard Hughes Corporation®. With nearly 11,000 square feet of indoor/outdoor space designed by Studio PCH, Nobu Honolulu features an outdoor bar lounge and open format kitchen at the base of Waiea®, Ward Village’s new residential building. Dramatic interiors rich in teak timbers, Noroshi charred wood and intricate detailing are featured as well as Nobu signatures like Black Miso Cod and Yellowtail Jalapeño, as well as exclusive Hawaii-inspired dishes like Spicy Lomi-Lomi Salmon with local Taro Chips, oven-roasted local Ama Ebi with Ginger Shiso Salsa and Ponzu, and Ribeye Umamiyaki with Ma’o Farms seasonal root vegetables and Nobu style sauces & toppings. 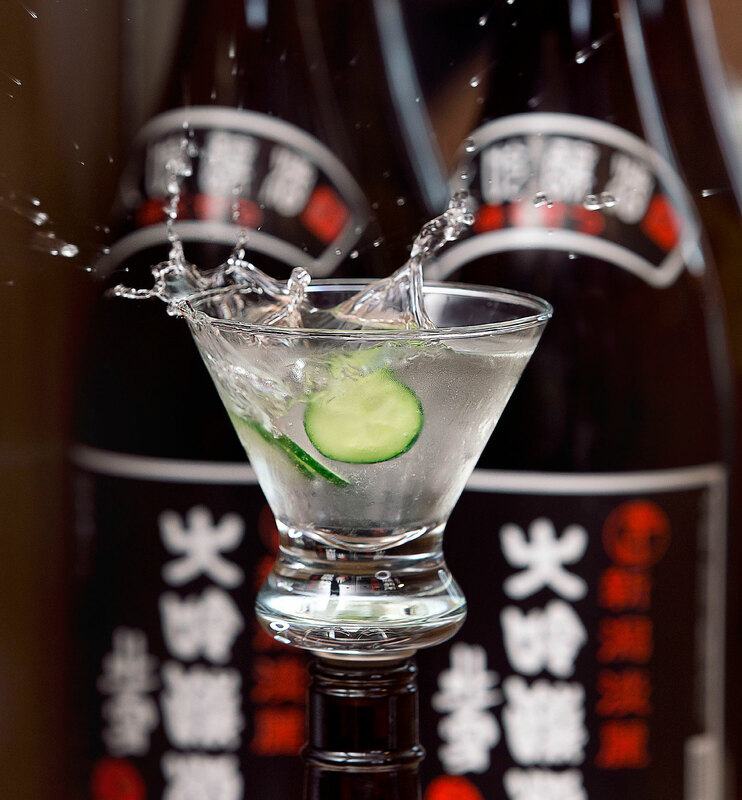 The new location at Ward Village also features a private Teppan Room, one of the few Nobu Teppan Rooms around the world, as well as an expanded bar and lounge offering. Executive Chef Matt Raso, Executive Sushi Chef Yoshio Ono, and General Manager Yuka Hinoda Raso are at the helm of the new opening, bringing their winning team from Nobu’s Waikiki location to introduce a new generation of internationally-acclaimed cuisine and service to friends and fans in Honolulu. Nobu, the iconic Japanese restaurant that started as a request from actor Robert De Niro to Chef Nobu Matsuhisa to bring his cuisine to New York in 1994, has expanded to include 32 restaurants around the world together with a stunning new collection of Nobu Hotels. Additional restaurant openings on the horizon include Nobu Houston, Nobu Newport Beach and Nobu Washington DC with planned hotels in London’s Shoreditch, Los Cabos, Riyadh and other thrilling destinations around the globe. Chef Marcus Paslay‘s new restaurant, Piattello Italian Kitchen, will celebrate its grand opening Jan. 14 in Fort Worth’s new Waterside development. The menu will feature from-scratch, seasonal dishes, including selections of antipasti, soups and salads, housemade pastas and pizzas, fresh sides and desserts. A full bar menu with craft beer, a curated selection of wines and local spirits will be available. Starting Jan. 2, part of the restaurant will be open every morning as Piattello Coffee Bar, serving handcrafted coffee beverages from Fort Worth-based AVOCA Coffee Roasters, as well as a selection of housemade, grab-and-go breakfast items, such as muffins, pastries and yogurt parfaits. Scott Lewis has been named executive chef of Piattello. Lewis, who studied at Le Cordon Bleu in Dallas, has worked in the culinary industry for nearly 16 years. He got his start working for Julian Barsotti – ascending from line cook at Nonna to sous chef at Carbone and eventually the opening head chef of Sprezza earlier this year. As a nod to Paslay’s first restaurant, Piattello, meaning “plate” in Italian, also refers to the term “clay pigeon.” The 5,300 square-foot restaurant will have an 800 square-foot patio and seat approximately 175 inside and 30 outside. Designed by Mitchell Garman Architects, the interior space will have a casual, modern vibe with concrete floors, metal-framed windows and brass light fixtures. The Wood Stone pizza oven will be faced in red penny tiles. 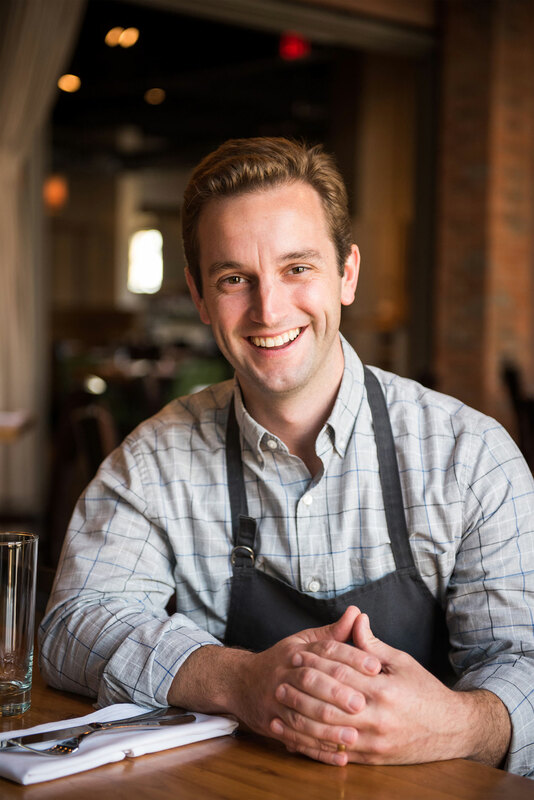 Kellen Hamrah has been hired as general manager; he has nine years of experience in the restaurant industry, most recently serving as manager of training for a national fine dining restaurant group based in New York. The opening of Piattello will bring approximately 60 full-time jobs and several part-time positions to the local economy. Restaurateur partners Nick Rancone and Chef Thomas Boemer of the Twist Davis Group opened the St. Paul location of Revival at 525 Selby Ave. Famed for signature fried chicken that has achieved cult status at both the flagship Minneapolis location and at an outpost at U.S. Bank Stadium, the new Revival St. Paul restaurant will also add barbecue, which will be unique to its contemporary Southern menu.To celebrate joining the local St. Paul community, Revival will be partnering with The Willie L. Carter Youth Foundation to fund the Element Boxing Team, a group of under privileged, at risk inner city children, and help keep the sport of boxing alive and relevant for youth to find a way off the street and into something positive. Revival St. Paul’s menu mirrors its sister restaurant and reflects Chef Boemer’s Southern heritage, offering a range of appetizers such as Pork Rinds, Spiced Buttermilk Style and Johnnycakes, Ham + Cheddar, Cowpeas, Sunny-Side Up Egg, Pea Tendrils, salads, signature fried chicken in Southern Fried, Tennessee Hot, “Poultrygeist”or Gluten-Friendly variations, sandwiches including Fried Chicken Thigh, Lettuce, Tomato, Mayo, B+B’s and the Revival Burger, sides such as Cheddar and Chive Drop Biscuits, Hoppin’ John, and White Cheddar Grits. In lieu of the “Entrées” section found on the Revival Minneapolis menu, the St. Paul restaurant features Carolina-focused barbecue selections smoked over whole logs of hickory and oak. Items include brisket, hot links, boneless pork belly with spare and baby back rib meat, and a ‘meat of the day’ option, which all can be ordered by the pound. Also unique to this location is a Hot Link Chili Dog with Burnt Ends Chili. Additionally, the kitchen will be instituting a heritage-breed, whole-hog program to highlight barbecue techniques from different cultures. Boemer plans to utilize “nontraditional” cuts including the whole head and pig tails, as well as classic favorites like the pork chop. In early 2017, Revival St. Paul plans to launch a takeout barbecue program to add further convenience for its fan base. A cocktail program led by bar manager Nate McLemore Raczkowski, previously of Hola Arepa and Parlour Bar, will also differentiate Revival St. Paul from its Minneapolis outpost. The bar will feature a signature bourbonsweet tea on draft and a variety of Southern inflected beverages to supplement the wine and beer list assembled by Nick Rancone. Revival St. Paul is also pleased to add The Jazzy Belle to its wine selection, a Columbia Valley Sparkling Wine produced especially for Revival’s menu by renowned, US-based winemakers Treveri Cellars. The wine will be served exclusively at both Revival locations for $10/glass and $40/bottle. The 4,700 square foot restaurant is located in the former Cheeky Monkey space. Now transformed, the 70-seat dining room designed by partners Rancone and Boemer and renovated by Welch Forsman, evokes comfort and nostalgia via the materials and finishes used throughout. A Capiz shell chandelier in the entryway, pendant lighting, maple wood floors and mid-century modern touches such as Formica makes the space seem familiar and friendly. The color palette blends soft earth tones of amber, orange and brown with accents of robin’s egg blue, all punctuated by whimsical wallpaper of rampant leopards and golden leafy branches. 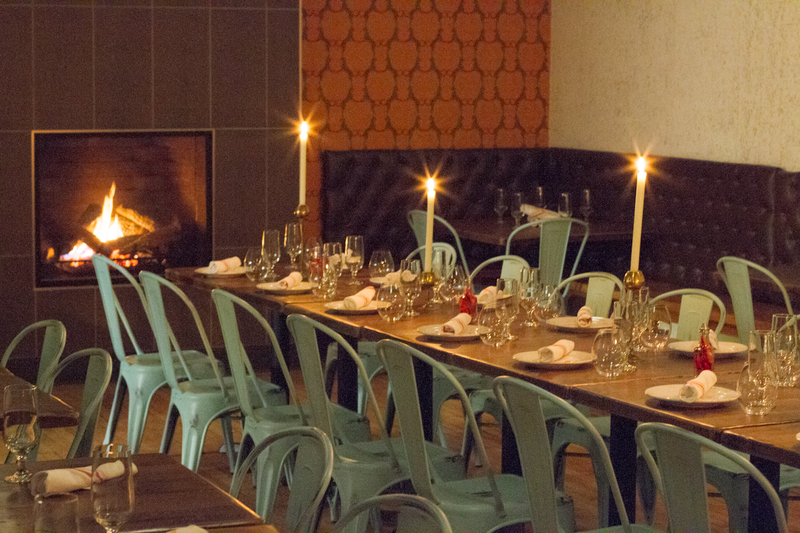 Tolix chairs are paired with reclaimed wood tables, adding additional warmth to the space. The 20-seat bar is composed of walnut and Formica with brass fittings and is complimented by an etched glass Revival “Thunderchicken” back bar. In warmer weather, guests will be able to enjoy Revival’s full menu al fresco on the restaurant’s quaint and private, cobblestone patio which will accommodate 50-60 people. Dirty Habit named Thomas Weibull as Executive Chef and Raul Ayala as Bar Manager. 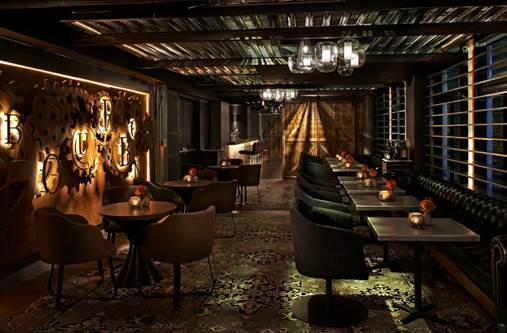 The duo will introduce revived menus at the destination, featuring new interpretations of Dirty Habit’s signature inventive small plates and brown spirit cocktails. Weibull brings nearly two decades of culinary experience to his role, earned at upscale hotels and fine dining establishments throughout California and beyond. Most recently, he was Executive Chef at Clift Hotel in San Francisco for the past four years, developing and overseeing all menus for the 370-room boutique property and iconic Redwood Room bar. Prior, Weibull was Executive Chef at Sea Salt in Berkeley, Executive Sous Chef at the acclaimed Rubicon in San Francisco’s Financial District, and Executive Chef at San Francisco’s Plouf, where he earned three-star reviews from the San Francisco Chronicle and recognition as a Top 100 restaurant. Originally from Philadelphia, Weibull received classic French culinary training from the Kristinaberg Hotel & Restaurant School in Stockholm, Sweden. Ayala was hired as a bar back at Dirty Habit upon opening in 2014. What started as a personal passion for creating innovative cocktails, evolved into a career as he continued to work his way up the ranks and gain inspiration from mentors including Brian Means, now Corporate Lead Bartender & Mixologist Director for Mina Group, and Sarah Ruiz, Bar Manager of Dirty Habit DC. Ayala has developed a distinct style of bartending and implements seasonal, original craft libations with careful attention to detail. Ayala was born and raised in the small town of Tanhuato Michoacán, Mexico, and moved to the United States when he was 13 with a desire for a better future. In their new roles, Weibull oversees all culinary aspects of Dirty Habit, including kitchen operations, curating rotating menus, VIP parties and all catering events. He describes his cuisine as California-inspired modern American, drawing influences from around the world, notably northern Europe and Asia. Ayala manages Dirty Habit’s craft cocktail and libations menu, rare whiskey selection, bar culture, and execution of the entire cocktail program. Weibull’s and Ayala’s new menus will debut in early 2017. 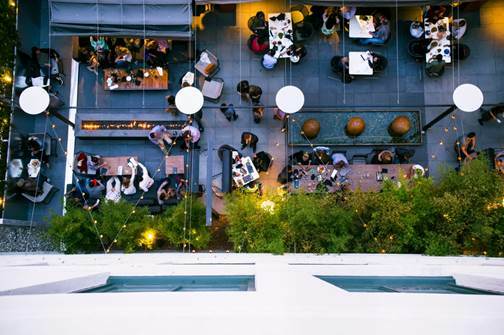 Perched five floors above the streets of San Francisco’s bustling SOMA neighborhood, Dirty Habit restaurant and bar is set within Viceroy Hotel Group’s Hotel Zelos. The backstage-like environment and spacious heated outdoor patio lures locals and visitors alike, creating the ultimate nighttime gathering place.Dirty Habit is located at 12 Fourth Street in San Francisco, CA. BlueCart, the restaurant technology company whose namesake app streamlines communication between buyers and suppliers in the hospitality industry, released a new Inventory Management tool that allows workers and managers in the restaurant industry to take, share, analyze, and react to supply-level data in real time, using just their smartphones. 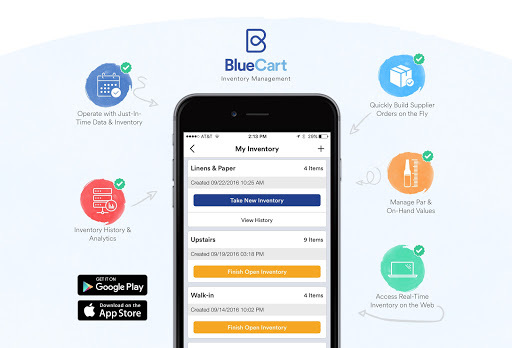 Working within BlueCart’s ordering app – and in concert with their latest “Order Check-In” feature – Inventory Management gives restaurants and hotels a complete picture of their supply flow. Now, using just one app, a manager in New York can monitor all inventory being taken in Chicago in real-time, check that new data against each location’s order history, and adjust current and future orders to account for any discrepancies. With BlueCart’s Inventory Management tool, users can create as many inventory sheets as they like, whether it be for the bar or the walk-in refrigerator. When orders are received and checked-in at the restaurant, gaps are flagged instantly, and both restaurants and suppliers are alerted via notifications so that necessary replacements can be shipped. BlueCart’s “Order Check-In” marks the end of signing, scanning and entering invoice data for tracking purposes. Operators no longer need a third party to do manual data entry of invoices; with BlueCart it’s all paperless. BlueCart’s Inventory Management was designed to let data just flow. For example, the bar manager can log his customized inventory on his phone at the same time the chef is taking hers in the walk-in. Both those lists are then updated in real-time on the GM’s master list, and all that data is automatically cross-referenced with what’s been ordered, what’s being checked-in, and what’s about to be ordered. Everything is saved in the cloud so that management can access whatever they need, whenever and wherever they need it. Released as part of an update to the BlueCart App, current users subscribed to the deluxe package or higher will automatically gain access. BlueCart is Venture Capital funded and has offices in Washington D.C., New York, and San Francisco with more than 25,000 businesses on its platform. La Locanda Italiano celebrated their grand opening on December 27 located in Old Town Scottsdale. La Locanda philosophy is straight-forward: use the best local ingredients, treat them as simply as possible, and serve them with flourish and joy. La Locanda’s menu is simple and direct, offering fresh original recipes from the North regions of Italy. La Locanda that means “the inn” in Italian. The atmosphere in La Locanda is a perfect blend of old world meets modern. The environment has red wine colored leather banquettes with reclaimed barn wood on the walls, and Rat Pack music on the speakers. 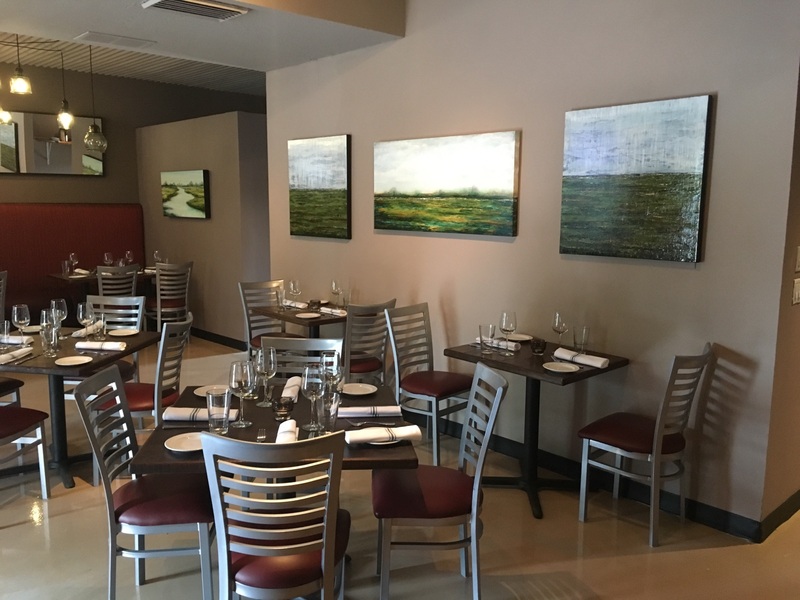 “We want our guests to feel they are in a very special setting, we keep it simple and friendly while maintaining a very high level of culinary expertise,” said Andrea Volpi, chef & co-owner. Volpi is the original founder of La Locanda in Chicago in 1989-1994 and opened La Locanda in North Scottsdale in 1994-2008. After 8 years of restaurant experiences in different USA states and the openings of successful restaurants in North Scottsdale; in partnership with one of the original chef of La Locanda, Gugliermo Alcala and Carlos Ochoa, GM for Morton’s steakhouse for the past two decades; reopen la Locanda in old town Scottsdale. Together they bring over sixty years of experience and a culinary philosophy is to maintain the sensibility of home style recipes, mixed with unexpected delight and creativity and professional and focused service. 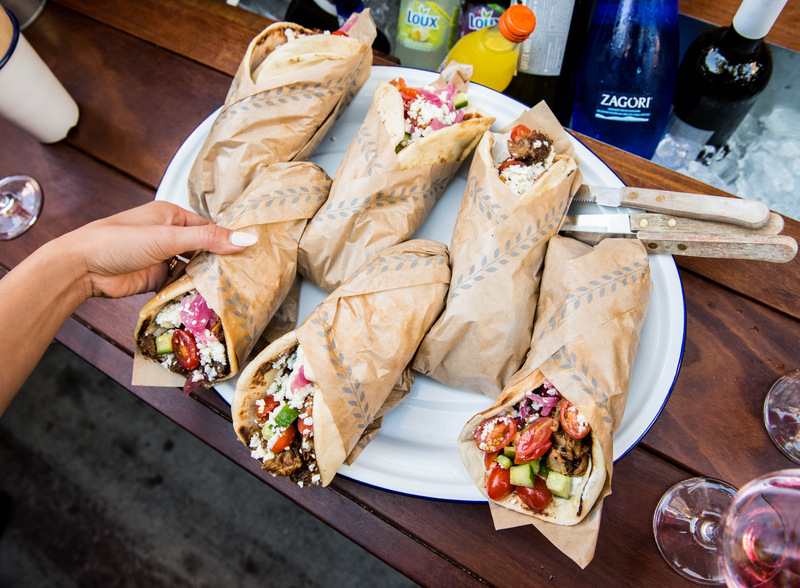 On Monday, January 16, Souvla, San Francisco’s fine-casual Greek sandwich shop and wine bar, will open its third location at 758 Valencia Street in the Mission District. Souvla will donate 100 percent of opening day sales to The Women’s Building, located less than a block from the new location, providing support for thousands of women and their families, connecting them with social services, community involvement opportunities, the arts, wellness and educational events. Souvla’s original location at 517 Hayes Street will be temporarily closed from January 1 – 11 for a refresh after serving over half a million guests since April 2014. The majority of the work will be cosmetic — a fresh coat of paint, some new tile, and updates to the restroom. During the Souvla Hayes closure, the Souvla NoPa neighborhood location at 531 Divisadero Street will remain open and delivery will still be available. The word “souvla” means “spit” or “skewer” in Greek — the rod on which meat is roasted.